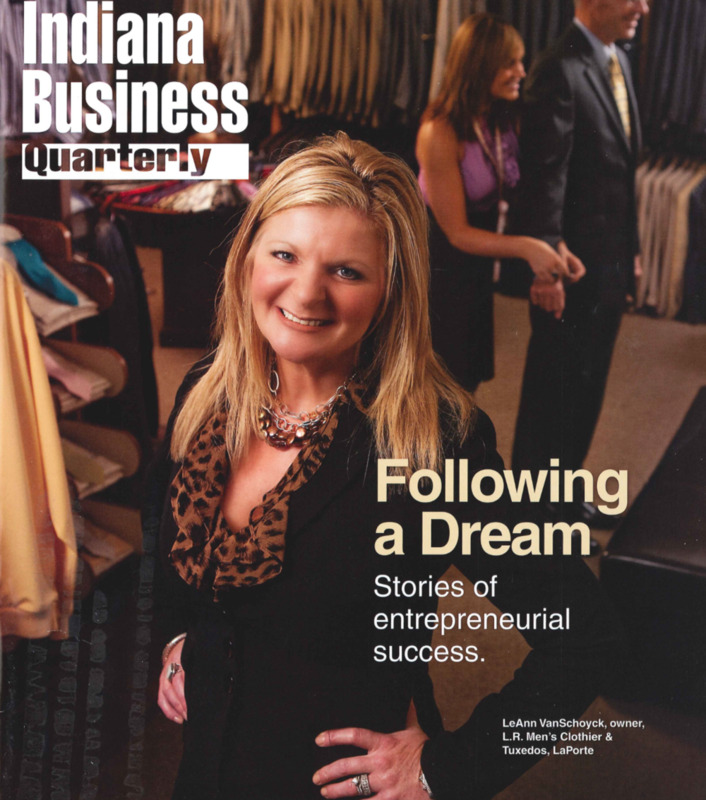 Leann VanSchoyck has been in the Men's retail business for 14 years. She worked previously for "Droege's", which was a family owned men's clothing store in LaPorte for 75 years. After Droege's closed their doors, Leann opened her own Men's retail shop. "I love the business and there is a need for it in this town." She named the store LR Men's Clothier & Tuxedos after herself and her daughter, Leann Rene & Lauryn Rene, both having the same initials LR. LR is a Men's Clothier that is unique, convenient, and focuses on customer service.